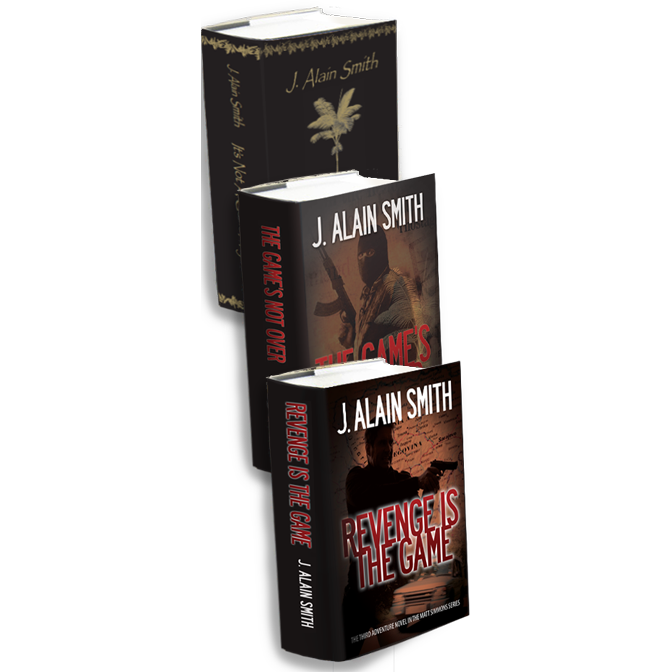 If you’ve not yet picked up your copies of J. Alain Smith’s adventure novels, check out what this reader and fan says about them! “…just wanted to tell you that I have read all three of your Novels and I must say they were Fantastic! I couldn’t put them down. Excitement from cover to cover. All 3, It’s Not A Game Anymore, The Game’s Not Over, and Revenge Is The Game were well written and a joy to read. Thank you. I hope you have been lugging your typewriter around with you and are busy writing another series of novels. I hope to read more of your writing in the future.” – Brett B.
Click Here to get your copies today, and receive all 3 books for only $55.00 with Promo Code SEPT18. ORDER NOW!! !